Can anyone tell me where to find an Arntz fuel cell ? Fuel Safe, ATL or Pyrotech ( now owned by the former owner of Fuel Safe) You will have to provide dimensions as this will be a custom build. Get ready for "sticker shock". Mike Beamish / Northern Racing Products Superformance service & installation. who was Steve Amos? I see his name as the drafter. Last edited by Blas; 11-08-2018 at 11:33 AM..
A realistic option is a custom aluminum tank built to your specs by Acton. I may have to go with aluminum, there's a guy locally that can do it. I'm have to get the roll bar mounted first, then work on the fuel cell tank. I found the Arntz drawing online somewhere; no one makes an Arntz assembly manual that I'm aware of. 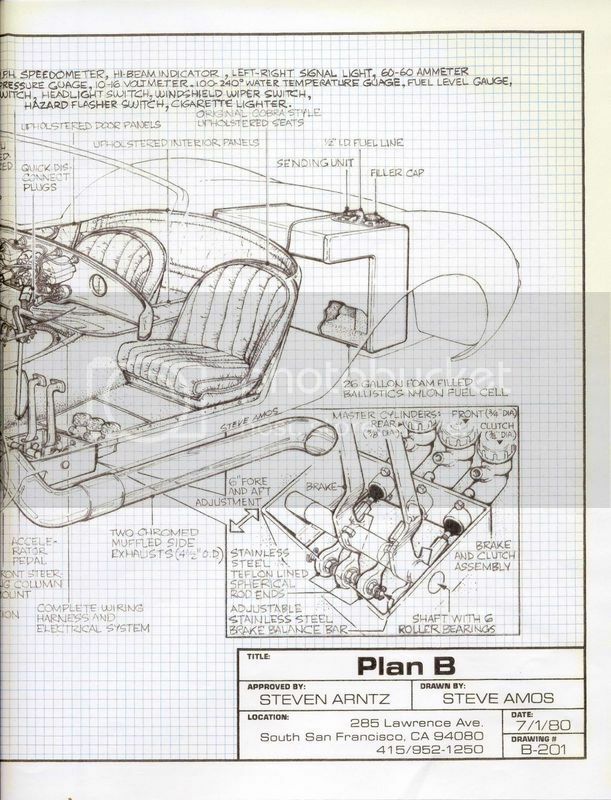 I think Steve Amos was the draftsman that did the work for Arntz. Last edited by Jim Coleman; 11-11-2018 at 06:35 PM..